For more than four decades, AIIS language programs in India have been crucial to most U.S.-based scholars of South Asian area studies in the humanities and social science disciplines. Area experts employed in government, NGOs, and the private sector have also benefitted. More than 3,500 students have completed programs through the Institute. 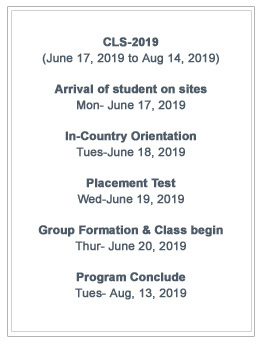 The AIIS Language Program offers both nine-month academic year and ten-week summer courses. 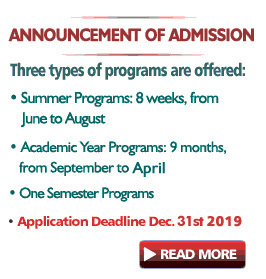 The Institute also offers both Fall and spring semester program. 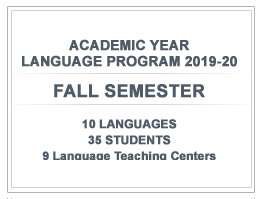 Students who have successfully completed two years of language training and who seek intensive immersion instruction within a target-language environment work toward an advanced-to-superior level of proficiency. 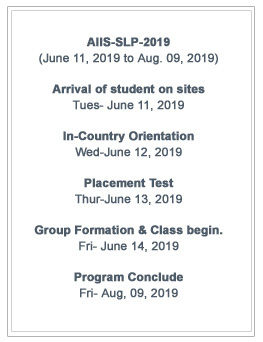 In addition, AIIS provides summer and academic year instruction at elementary to advanced levels in many languages, including several that are rarely taught outside of India. Applications for AIIS language programs are available in mid-October and are due in late January; the selection process is finished in late March. Academic-year program students may compete for full fellowships funded through the U.S. Department of Education; summer program applicants should seek funding from their home institutions or through the Critical Language Scholarships program (for Bangla, Hindi, Punjabi, and Urdu), but may also be considered for a limited number of partial scholarships from AIIS. For further information, please go to www.indiastudies.org.